Welcome to the 11th Gridcoin State of the Network Report. The SotN Report is a fortnightly report organized by @parejan and @jringo. It compiles useful news and statistics that the community can use as they see fit. We apologize for the delay with this report and hope everyone had a cheery holiday weekend! While posted on April 2nd, the stats and articles for this report are assuming it was posted on March 31st. A status update from the core devs. Bittrex and C-cex have opened GRC trading again. @Delta1512 has built, tested, and added a tipbot to the Gridcoin discord server. @nexusprime has built two magnitude estimators, one for GPUs and one for CPUs. @ehf was quick to contribute some improvements. There have been two updates to the Gridcoin white paper proposal. Update 1 | Update 2. The poll ends on April 20th. 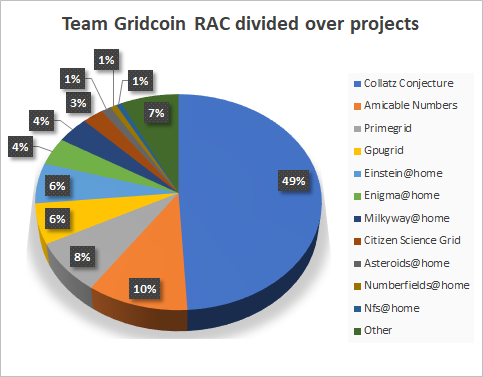 Team Gridcoin is now number 1 for projects rosetta@home and milkyway@home! Team Gridcoin is now in 3rd place for RAC! 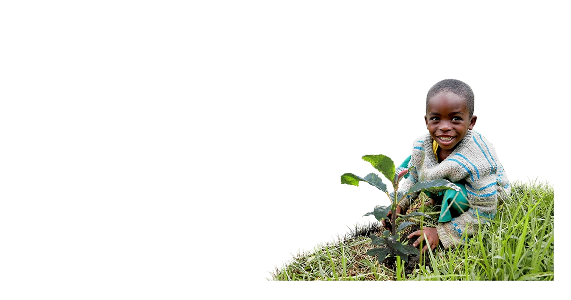 @mdosev has written summaries describing three projects of Citizen Science Grid: 1 | 2 | 3. They have also written summaries on LHC and Einstein@home. @dr-frankenstein continues the Gridcoin ascending project with two new posts. 1 | 2. @jamescowens and @hotbit are continuing their exploration of estimated times to stake. @alanman has fixed their stake calculator. @jringo has summarized the base calculations for determining vote weight. @parejan continues their project on calculated RAC for CPUs with enigma@home. @dudebaker has updated their boincstats tracker. 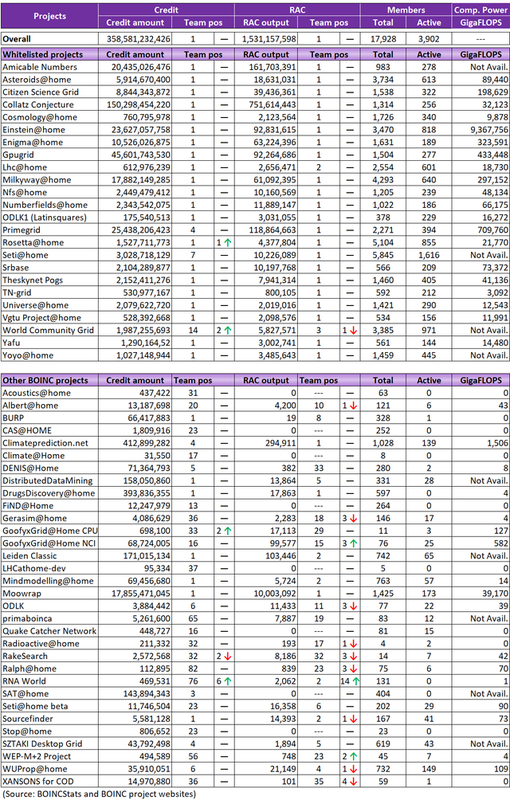 The table below contains the blockchain statistics of the last 2 weeks and covers blocks 1190227 to 1203667. 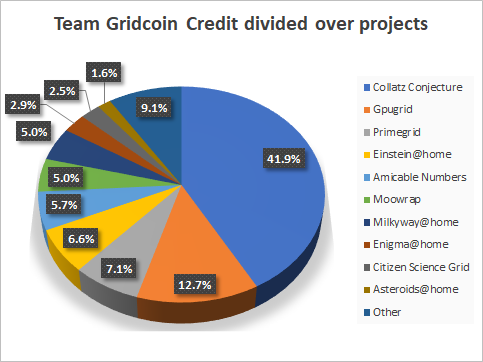 This concludes the 11th Gridcoin State of the Network Report. Keep up the good work and we’ll see you in two weeks! Eobot have also reopened withdrawals this week. hey @jringo thank you for this series. I've just noticed a serious boost in the growth of users per day around january. Do you think it is related to this particular holiday period of the year? Was it like this last year? 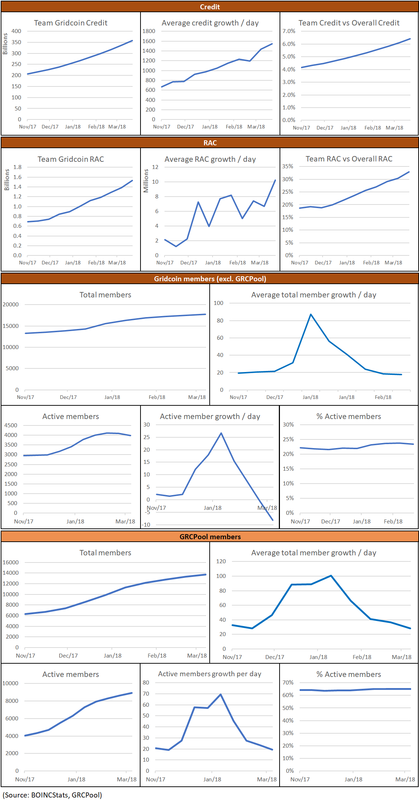 The user growth is related to the steep GRC price increase during this period which has attracked a lot of new members. Unfortunately the numbers have been slowing down since the peek in January. I agree with @parejan. Bitcoin breaking 10k (and GRC following to new ATH) brought a lot of new people to crypto (and GRC). Thnx for another update @jringo good work! You just planted 0.31 tree(s)! Where sell GRC without KYC/AML?